It’s been 40 years since Dario Argento unleashed his visionary masterpiece, Suspiria on an unsuspecting public. Part Giallo, part horror, part Baroque fairy tale, Suspiria has lost almost none of its ability to shock. On this first episode of The Rear Window Podcast, David Kleiler, Jean-Paul Ouellette and Dima Ballin discuss the film’s enigmatic inner world and its enduring effectiveness. Enjoyed this new podcast very much. 1) I believe through the use of the voice-over narration at the film’s beginning with its Three Bears-esque simplicity that Argento planned to immediately submerse the viewer in an alternate reality of his own devising. There is no “jumping off point” where the protagonist transitions between the real world and the magical. The film operates entirely in its own unique time and place. 2) As for the origin of Suspiria’s plot, Nicolodi claimed that she gave it to Argento based on stories she was told as a kid. Argento failed to acknowledge her contribution, and their relationship soured thereafter. 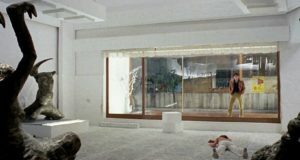 3) Speaking to the film’s aesthetics/color palate, I’m surprised you didn’t mention Bava, as his influence seems to loom largely over Suspiria. I would draw your collective attention to two of his films, Black Sabbath and Blood and Black Lace, as Suspiria’s stylistic antecedents. 4) Regarding financing, don’t forget that Argento had the support of both his film-producing father and brother. Of course it didn’t hurt that Bird With Crystal Plumage was a huge domestic hit for them either. 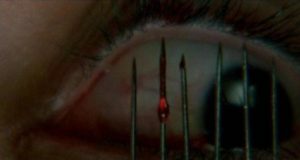 6) Fulci would later riff on the seeing eye dog-attacks-the blind in his The Beyond. 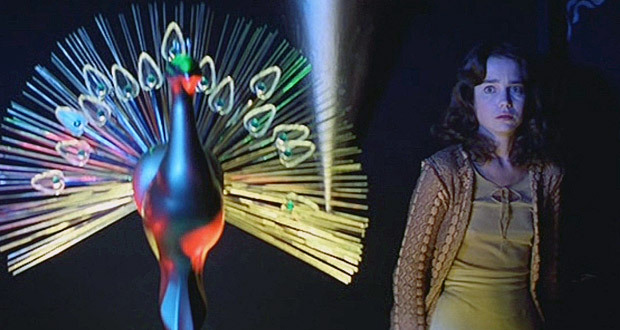 A scene I’m sure must have been meant at least as a passing homage to Suspiria. 7) Argento’s mother was a leading photographer. He mentions that some very famous actresses came to her to be photographed. 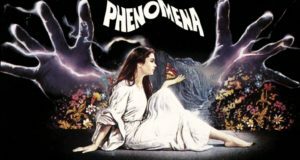 One can not help but to get the impression that Argento must have intuited at a young age the latent power residing in certain angular representations of the feminine form. 8) Identity politics are for degenerates. Anyways, all-in-all a very good first episode. Hope to hear many more made at this level. GOBLIN wrote the music before the shooting of the movie – so they didn’t react and respond to the images on the screen as you describe. Quite the reverse – the actors responded to the music of GOBLIN, as they played the music during the shoot.